N26 launches premium Black account: is it the best card to use abroad? Is fee-free foreign spending worth the monthly subscription cost? Mobile bank N26 has launched a premium account offering fee-free foreign currency purchases and withdrawals. But with a monthly cost to subscribe, can it compete with competitors such as Starling, Monzo and Metro Bank? N26 Black, the latest product from the app-based German ‘challenger’ bank, aims to make spending and withdrawing money abroad easier. If you subscribe, you’ll get unlimited foreign currency purchases and withdrawals anywhere in the world with no additional fees. But how does N26 Black compare with other ways of spending money abroad, and does it do enough to justify its fee of £4.90 a month? What’s on offer with N26 Black? eight additional ‘Spaces’ (sub-accounts for saving towards specific goals). N26 Black membership is £4.90 a month, but the brand says it could save you money by circumventing transaction and withdrawal fees. In our guide to the best debit cards to use abroad, we calculated how much leading banks charged for two £50 purchases and three £50 cash withdrawals overseas. Under this model, you’d pay nothing for your holiday spending with N26 Black – but you’d still face the £4.90 fee per month, regardless of how often you use it. 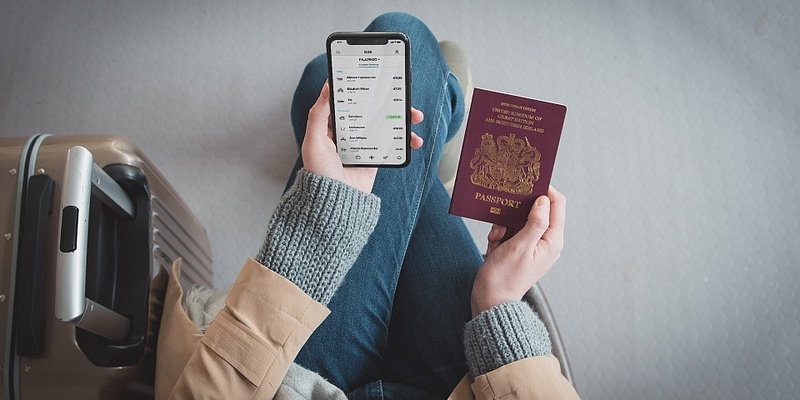 N26’s standard current account, which doesn’t require a subscription, also offers overseas transactions without fees, but ATM withdrawals cost 1.7%. To make the same purchases and withdrawals as above, you would be charged £2.55 – around half the price of a month’s N26 Black subscription. You’d need to withdraw nearly £290 (£288.50) on average from overseas ATMs each month for N26 Black to be more cost-effective than the bank’s own free current account. That’s nearly £3,500 a year. You may be able to save money with an N26 Black account compared with the high street. The same transactions with a standard HSBC debit card, for example, would cost you £12.13. But there are other ways to spend money abroad with minimal fees, most of which don’t require a subscription. When it comes to spending in other currencies, most high street banks do charge fees. These tend to be around 2.8% for transactions, and £1.50 or more for ATM withdrawals. Several mobile and challenger banks, however, allow fee-free overseas spending and most don’t charge a subscription. Which? Recommended Provider Monzo is almost entirely fee-free, though it does cost 3% for ATM withdrawals over £200 a month. Starling Bank also offers fee-free withdrawals with no limits. Some high street banks offer good deals, too. Metro Bank is fee-free for spending and withdrawals in Europe, but it does charge fees elsewhere. Another option for overseas spending is a travel credit card. These often have no transaction or withdrawal fees, but they will likely still cost you money. It’s important to keep in mind that you will be charged interest if you fail to pay off your balance at the end of the month, unless it offers a 0% period. And for ATM withdrawals, interest may start to build up from the moment you take out the cash, and sometimes at a higher rate. For this reason, it’s wise to avoid using ATMs with travel credit cards. Unless you’re very organised and pay off your bill straight away, travel credit cards could end up being more expensive than they seem. Prepaid travel money cards can be great budgeting tools. Because you have to load your card with currency before you can use it, you can intentionally limit your spending to the amount you have topped up. App-based prepaid card Revolut allows users to load up to 24 currencies, and has a similar fee structure to Monzo’s debit card mentioned above, charging 2% for ATM withdrawals over £200 a month, but no fees for anything else. The feature-heavy app provides real-time spending breakdowns and allows you to block your card if it is lost or stolen. The Post Office Travel Money Card also holds multiple currencies. It can be topped up online, in branch, or through a mobile app. The card does have a €2/$2.50 fee for ATM withdrawals, though. The AA’s Euro Prepaid Card offers free ATM withdrawals over €50 or £50, but it only allows you to top up in one currency (euros, as the name suggests). With most prepaid cards, you do have the option of topping up over the internet during your trip, so if this is your preferred way to pay, you don’t have to stick to your initial budget. Editor’s note: A previous version of this article misstated the price of N26 Black membership as £4.95 per month. It is in fact £4.90. The article has been updated.